duplicate | Oh So Fashionably Late! You are at a luxury mall. You see a woman coming out, carrying a monogrammed Louis Vuitton arm candy. You walk close enough to slyly notice the finish, while she is busy haggling with the cabbie. You conclude she’s hiding under the facade of fashion. 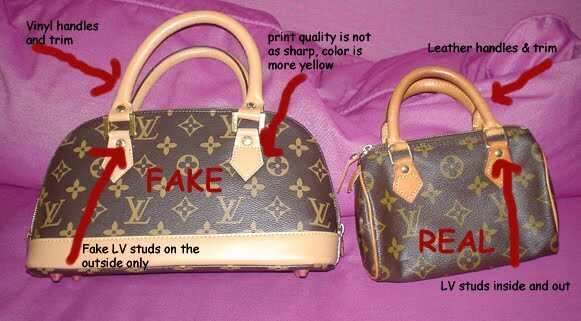 And you wonder, why women buy designer knock-offs. If you know the market, you’d know there are originals, original duplicates and duplicate duplicates. But essentially it’s just 2 broad categories – you are either real or you’re a liar. Going back to why people do it… is it because they can’t really afford it and this is probably as close as they can get to the real thing? Ok, fair enough, at least you’re open about it. But what if they think they can easily get away with it and nobody will know that they are carrying a fake? Isn’t a person carrying a counterfeit Coach tote with a Burberry scarf artfully laced on to one side, as good or bad as a con artist? If the mask of labels is so important to a person, how can you be sure she/he is genuine and wouldn’t lie in other life situations? Thoughts?